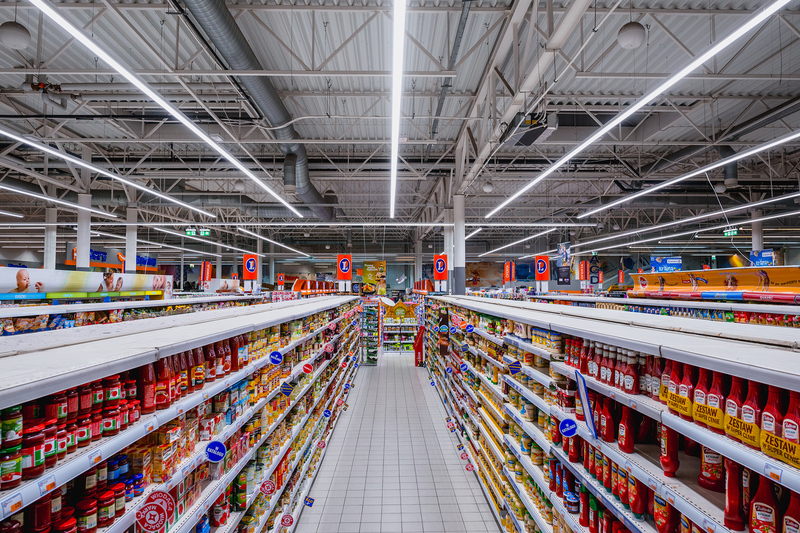 E.Leclerc, a well-known chain of grocery and industrial stores, has its own stores in Poland, France, Italy, Spain and Portugal. 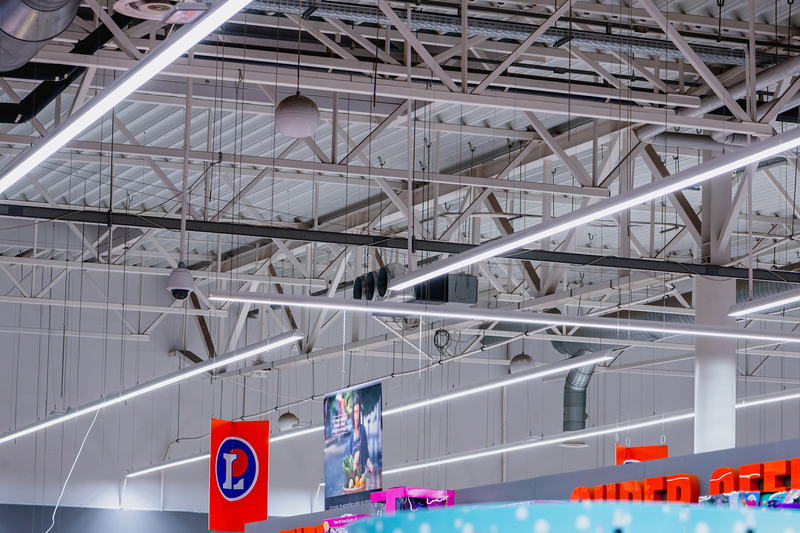 One of the stores in Poland underwent a lighting modernization. 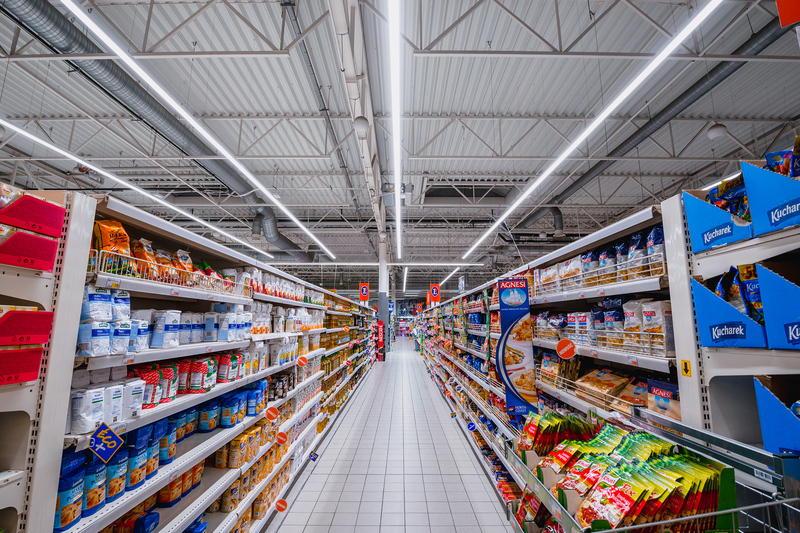 In this case the perfect choice was Intel:LED Linea light line system (currently replaced by Lumiline:LED, available in two power versions and in three lighting angles, which makes the selection of the lens easier depending on the width of the alleys and the passages between the shelves.